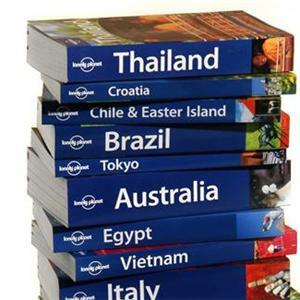 Every month you can be in with a chance of winning a Lonely Planet travel guide of your choice just by telling us what you think about the Hotels Fairy price comparison system. What’s more, if you join our FREE travel club, you’ll also be the first to know about more exciting competitions, travel offers and inspiration via our regular email newsletter. To be in with a chance of winning a Lonely Planet travel guide of your choice this month, simply tell us your experiences of using our hotel price comparison system. Haven’t tried it? Check it out now by searching for hotel deals using the hotel search box to the left – it’s completely free to use and doesn’t require any registration. If you’ve used it and have valuable feedback, please fill in the form below or leave a comment on our Facebook page (facebook.com/HotelsFairy) to be entered into this months draw. Leave feedback for the chance to WIN! The competition closes for entries on at 12midnight GMT on the last day of each month and the winner will be selected at random from the entries submitted and informed within 10 working days of the entries closing. The competition is open to citizens of any country with a valid email address. By ticking YES to join the Hotels Fairy Travel Club you consent to receiving Hotels Fairy Travel Club newsletters at your nominated email account. You must be at least 18years of age to enter this competition. Automated entries will be disqualified. Only one standard entry is allowed per person per month and it is not permitted to join the Hotels Fairy Travel Club multiple times using different email addresses. Hotels Fairy will announce the name and country of the competition winner. By entering this competition you agree that if you win the competition, Hotels Fairy has permission to use this information about you in publicity relating to the competition. By completing the above form you consent to your feedback, name and country being used by Hotels Fairy in its publicity. The winner will be entitled to any paperback city, country or continent guide from the Lonely Planet guide of their choice subject to availability. If the winners preferred guide is unavailable they will be able to select an alternative Lonely Planet guide. To redeem their prize the winner must provide Hotels Fairy with their preferred Lonely Planet guide and postal address with 10days of being notified that they are the competition winner. Hotels Fairy is a registered trademark of Scamper Ltd. This competition is not open to employees of Scamper Ltd or their immediate family members. Any queries about this competition should be sent to info@hotels-fairy.com. You can find more travel related competitions on ThePrizeFinder – UK Competitions.